Our expert team of engineers has over 25 years of experience in Substation Surveys and can carry out FREE site visit and examine your electrical switchrooms and substation for electrical substation safety equipment requirements. Insulating Equipment: Platforms, Insulated Matting, Gloves, etc. We can also assess the condition and suitability of your existing installed equipment and offer our advice in this area too. Please contact us directly for more information. We’re happy to help. Our partner, EA Technology are the Industry Specialists in delivering HV training courses for electrical engineers. They have used this experience to develop one of the most extensive ranges of specialist, High Voltage courses for electrical engineers working within the power industry. 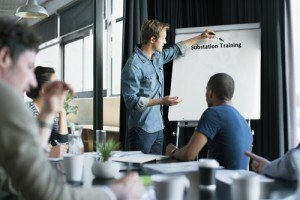 All EA Technology courses are carried out at their UK training centre in Chester, England and their scheduled courses include Power Network courses, Insulating Oil Analysis, SF6 Training, Substation Earthing Training & Substation Design. For further information, contact us or call us on 057 866 2162.